This is the category for non-fictions posts, no matter who writes them. This post begins a series on narrative and dialog. Stated most simply, narrative and dialog are the tools writers use to tell their stories. They take different forms and serve complementary functions, but with plenty of overlap. Provide the reader with whatever other information she might need. It is the words not placed inside quotation marks or used for internal monolog (sometimes shown in italics). On the other hand, while it’s possible to write a story that contains little or no dialog—I published one that had only internal monolog; none of the characters ever said a word to each other—it’s rare and unless done well, hard for readers to stay engaged with. Allows characters to interact with each other: to support each other, provide information or direction, deceive each other, etc. Illustrates character. What a character says reveals what he knows, how she’s feeling, what he thinks about a situation, how she perceives another character, and so on. Can build or relieve tension and conflict. Lubricates the plot and the narrative and keeps them moving forward. In short, dialog is all but essential to a story. Using dialog to blatantly convey information to the reader, including the “As you know, Bob” problem. I may add other items to the list as we go along, but this is where we’ll start. What other problems would you like me to discuss in this section? Add your suggestions in the Comments below. Last Saturday, I was driving down Davis Road from our isolated home in the hinterlands of Cochise County, Arizona. I was counting the turns–how many left and how many right–so that during the week, I could stop at the County Recorder’s office, look through one of those big books of maps, and find out who owned that property on the outside of the curve around the thirty-one-mile marker. Why? Because back in September–as I mentioned in a post on this blog–I spotted a moose-crossing sign at that spot. Burned up a week’s worth of rubber, skidding to a stop and backing up to see if I’d really seen what I thought I’d seen. This was in the Sulphur Springs Valley, about a dozen miles from the Mexican border and hundreds of miles from moose habitat. In that September blog post, I said that mysteries were good for writers because they can kick start the imagination. But then solving mysteries is good, too; it’s satisfying. Which was why I pulled over next to the white pickup parked just off the road, introduced myself, and asked the man behind the wheel if he could tell me about the moose sign. First, he told me that the story was on the back of the sign. I gave myself the flat-forehead salute because it hadn’t occurred to me to walk behind it. Then, in tears, he told me that on January 6, 2011, his friend, Marvin S. “Moose” Barker III, had rolled his pickup truck at that spot and had died. We sat quietly for a moment. Then I told him I was a writer and had posted a picture of the sign on our group’s blog, along with a piece about my surprise at seeing it. In response, he handed over a small notebook where he’d written a few thoughts about Moose. By the time I read his last line–“those who didn’t know him missed out”–I wished I’d known the man whose death had inspired such grief in his friend. I told him how sorry I was for his loss and pulled back onto Davis Road, determined to stop next time I came this way and read the back of the sign. Until then, thanks, Mike from Mud Springs, for sharing your loss with a stranger and for satisfying my writer’s curiosity. ‘Tis the season to be thankful, and I have a lot to put on my gratitude list, in general and in my writing life. 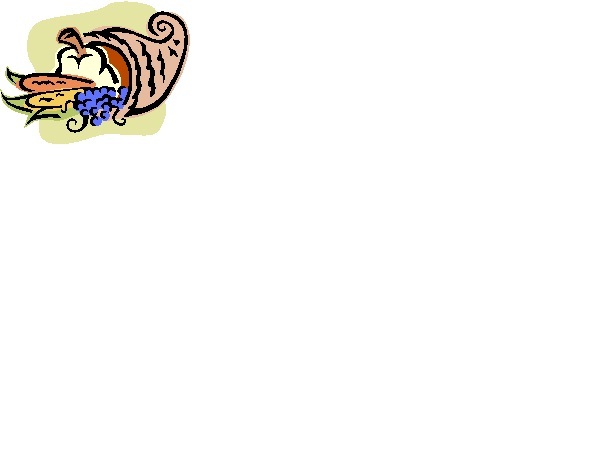 For one thing, I’m blessed with a wonderful bunch of writing partners, the Cochise Writers’ Group that puts out this blog. For years, I tried to pull myself up by the bootstraps as a writer. It was only when I found classes and critique groups that I began to grow in my art. This group is serious about writing and publishing–and we often laugh so hard at our meetings that the librarians come in for a dose of humor. I grew up in the Age of Manual Typewriters and thought correcting electric typewriters were the ultimate technology. Now we live in the Age of Computers that make revisions so much easier. On a computer, my fingers can almost keep up with my thoughts. Grateful? Oh, yeah. Technologically, I’m grateful for the Internet and its proliferation of information, notwithstanding the frustration of getting 37,000,000 hits for the query “writing rules.” In the late 1980s, I was dating a techie from Los Alamos National Laboratory who impressed me by dialing the computer he’d brought home from work (even he didn’t have a personal computer) into the Internet’s predecessor, set up by the Defense Advanced Research Projects Agency (DARPA). I was awed that he could search for data on a computer in Germany. I’m grateful to have more ideas written down for poems, short stories, and novels than I would have time to write if I were twenty again and expected to live to be a hundred. Those ideas are like gold coins in a treasure chest. Did I mention how grateful I am for my fellow scribblers? Thanks, Annette, Bob, Debrah, Jeri, JoySue, Pat, Priscilla, Ross, Steve, Terry, and everyone who’s dipped into our meetings and found that life had other plans for them. I couldn’t do it alone, any more than the Pilgrims could have done it without the Indians. Dirt and gravel sprayed up behind my Chevy Blazer as I jammed on the brakes, locked the wheels, and skidded to a stop. I threw GW (Great White, as in shark, not hope) into reverse and gunned the engine, swerving to a stop in the middle of the road. Then I rubbed my eyes and shook my head, having a hard time believing what I was seeing. 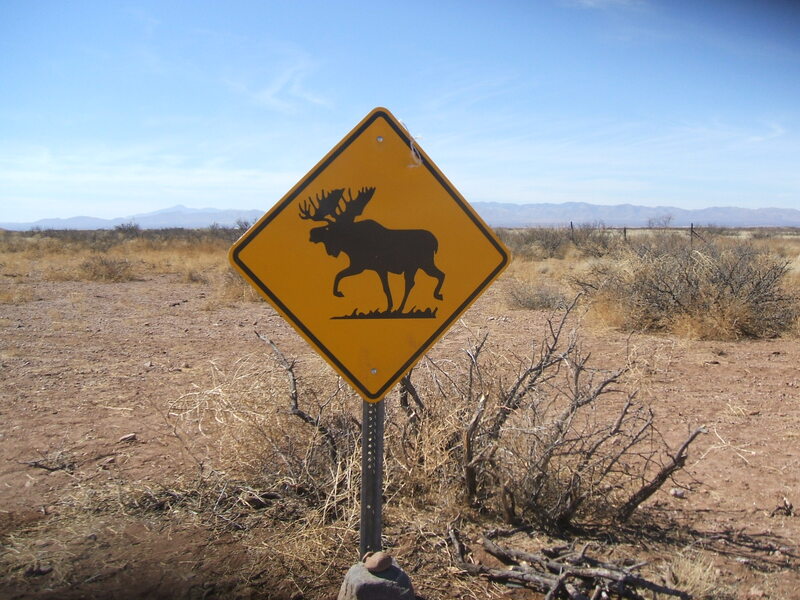 The yellow, diamond-shaped warning sign contained a picture of a moose. I knew what it meant: Be careful. Moose cross the road here. Hitting one of those big guys or gals (6-7 feet at the shoulder, 850-1580 pounds) could trash your car–and you–so watch out. Now, this is a sign people might see a lot–if they lived in Canada, Alaska, some Northeast states in the U.S., and parts of the Northwest. It is not one I generally associate with the high-desert basin-and-range land of the Sulphur Springs Valley, Cochise County, Arizona, a dozen miles from the Mexican border. Cow crossing signs? We’ve got plenty of them. Deer crossing signs? There should be more. Javelina crossing signs? We ought to have ’em. But moose? I got out of the truck with my camera, but before I clicked the shutter, I looked around the grassland and the swath of mesquite greening up along a nearby wash to see if there were, in fact, any moose. My imagination was already shifting into high gear. Maybe someone retired here from Maine or Michigan or Montana and brought their favorite herbivores. Unlikely but not impossible. There’s a wildlife preserve in Texas where hunters can bag African big game. 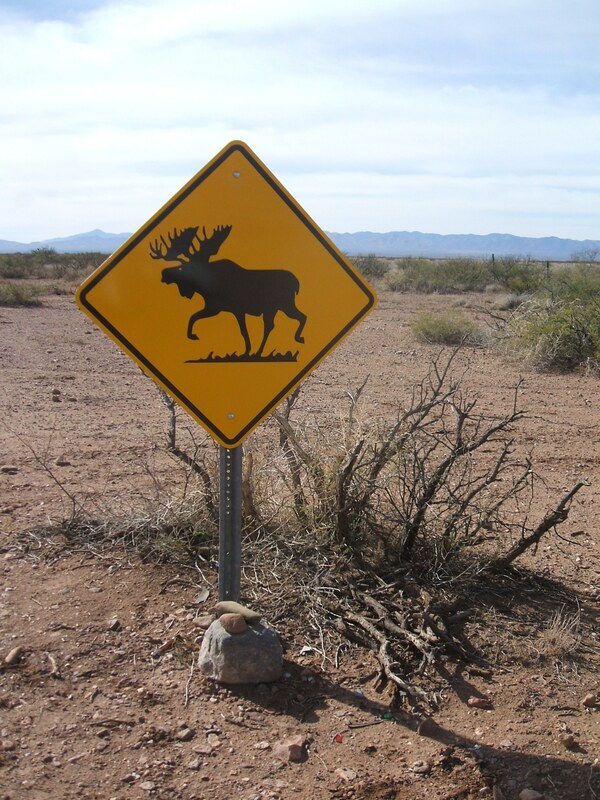 If things can get that nutty, there could be moose in southeastern Arizona. When I got home, I even ran an Internet search to see if there was fossil evidence of moose in the megafauna era of the last ice age. Apparently not here, though in the upper Midwest and East there was an impressively large Pleistocene stag-moose. So what’s the moose sign about? It’s still a mystery to me, though I’m planning to take down the pertinent information, go to the County Assessor’s Office, find out who owns the land, and contact them, just to satisfy my curiosity. Maybe someone brought the sign back from a northern trip and just wanted to blow the minds of local ranchers and retirees. It sure worked on me. Beyond the pleasure of telling this tale, is there a point? Surprisingly, yes. Mysteries are great things for writers to encounter. This one jolted me out of my ho-hum commute down Davis Road, which is one of the “freeways” my husband and I drive from our isolated home to the local towns Douglas and Bisbee. It got my imagination revved up. And who knows, maybe there’s a story in the episode. If the truth turns out to be boring, perhaps I’ll write something much more interesting.